Kids today are bombarded with attacks on their faith. From television to even their peers. This can not only force kids to have to defend their faith, it can also cause them to question their own beliefs. 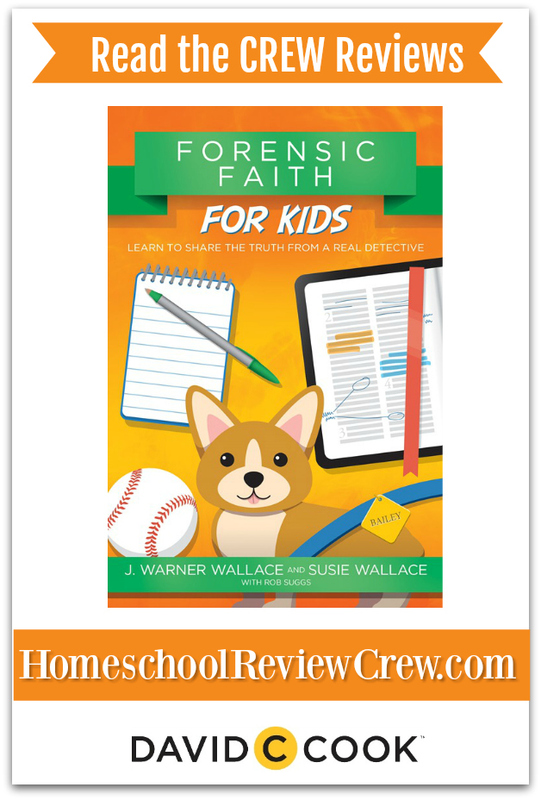 Forensic Faith for Kids is a great book written by J. Warner and Susie Wallace, the same people who brought us the likes of Cold-Case Christianity for Kids, God's Crime Scene, and Forensic Faith. David C Cook along with Case Makers Academy blessed with with a copy of our own to check out. Age range: 8-12 years old. Pages: 144 pages including a preface, 8 chapters, and Postscript. The cadets Daniel and Jason, along with Detective Alan Jeffries are trying to figure out the mystery surrounding a lost, but now found, Corgi puppy. Where did this puppy come from? Who are its owners? As far as the boys can determine, the only information they have to go on is the name "Baily" on the pup's collar. Meanwhile, Hannah has a friend named Tiana. Tiana has a friend named Marco who causes Tiana to question whether Christianity real, and the Bible truth. Hannah wants to prove to Tiana (and Marco) that the Bible IS true, and that Jesus is REAL and is the Son of God. To help her in her quest, so goes to the other Cadets and Detective Jeffries for help. The book starts out with a message to the reader, written in 1st person, from one of the authors, Detective J. Warner Wallace. He tells us he is a cold-case detective, and decided to put his skills and training to use investigating the Bible. He put his own faith to the test to determine if the Bible was really speaking the truth, and after months of investigation he concluded that yes, the Bible is truthful, and Jesus is the Son of God. Why do I find this particular page so important? It is important because kids will question their beliefs and their faith. They will question if the miracles really happened. They will question if Jesus really died on the cross. They will question...simple as that. But they may not outwardly question. They may only ask these questions in their own mind, afraid it's just them. Or afraid an adult just wouldn't understand. Having this in the forefront of the book is a way to let kids know that it's ok to ask questions to the adults, and that the adults will do what it takes to give them the answers. Through out the pages there are a number of graphics that help to break up the reading portions. These are not distracting at all, and overall they really add to the story so that kids can put faces to the characters. We both really liked the "Gray Boxes." These boxes are on the sides of the pages, and they have additional tidbits of information useful in your child's investigation. There are Detective Definitions, CSI Assignments, Dig Deeper, and A "Tool" for your Detective Bag. 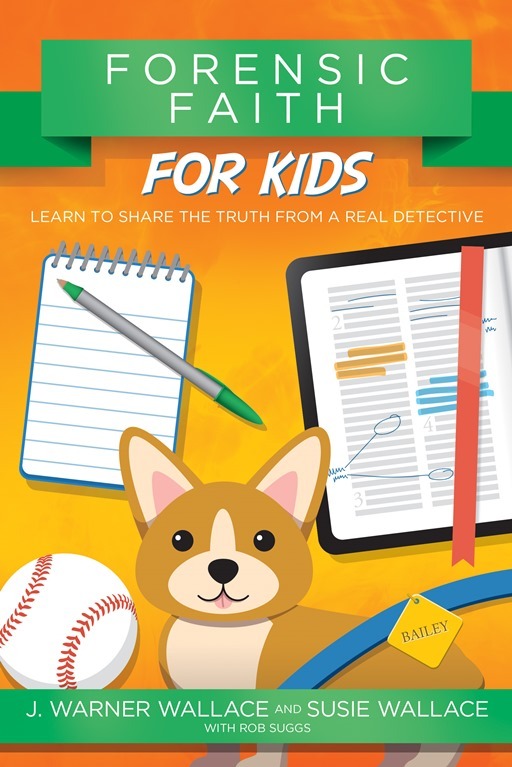 Detective Definitions: This box contains words that kids may not quite understand, such as Evidence or Forensic. It's important to note this isn't like a dictionary definition, but more like an explanation of what the word is. For example, the Detective Definition Gray Box for the word Forensic gives the Latin root for the word, then goes on to explain how detectives use forensic evidence in courts. CSI Assignments: This is a fill in the blank box where your child is tasked with looking up additional scriptures and filling in the blanks for the missing words. Dig Deeper: This encourages your child to check out the online Case Makers Academy, which I'll talk about more in a bit! A "Tool" for your Detective Bag: These little gems sort of sum up what your child as just read in a call to action way. Sometimes they reference specific verses, sometimes they are just a call to action. 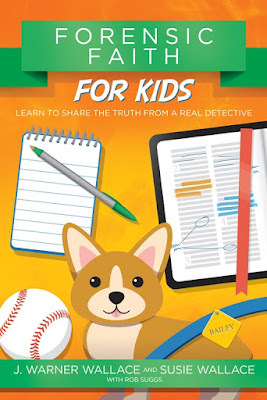 Case Makers Academy: Y'all, I had NO idea there was a Case Makers Academy when I reviewed Cold-Case Christianity for Kids. I have no idea why I didn't know, but boy am I kicking myself for not knowing about this. It's a wonderful online site that offers all kinds of goodies that go along with all three of the books that are in this series. Each chapter in the book has it's own set of activities. It starts off with a video, and then there are Training Activity Sheets, Academy Notebook Sheets, and an Adult Leader Guide. I'm just so excited for this part! It really brings the book to life for the reader, and it helps them really apply what they are reading, and lets it "sink in" more. This even allows us to incorporate reading comprehension AND others stuff, like history, into our study. Now do you see why I like it so much?? Overall, this is great for kids. The intended ages are 8-12, but I think older kids would also benefit from this. I love the the added tidbits of the informational boxes on the sides of the pages, especially the fill in the blank CSI assignments. We LOVE Case Makers Academy! The activities are fun, and really enhance the overall experience.